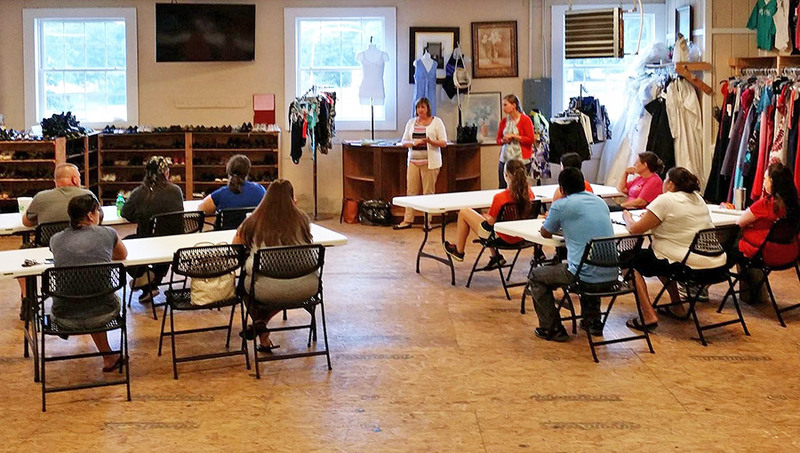 Working in conjunction with Stanly Community College, West Stanly Christian Ministries is thrilled to offer on-site High School Equivalency classes (HSE). Students join the open class any and every Tuesday and Thursday from 6-9pm and we’ve graduated over a dozen students since inception of this program. Further, as a response from a community need, we also offer these classes with free childcare. During class, we pay staff members to watch, many times feed, and share stories and games with the children of moms and dads who want to be everything God created them to be. We also have been able to absorb all testing fees associated with this class for students taking the classes here. We’ve tried to remove any and all obstacles that would be challenges that would keep someone from furthering their education and increasing their hire-ability in the workplace. Come and join us! You’ll be so glad you did!